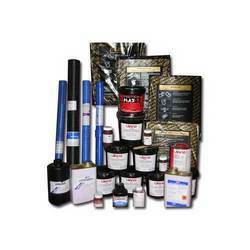 To cater to the diversified needs of our valued clients, we have brought forward Emulsion Printing Ink. Offered coating products are processed using latest technology and thus, are asked widely for their accurate & predictable stencil thickness control. Safe & secured in usage, the particular range is available at industry leading rates. Price range varies from Rs. 90-Rs. 220 / Kg based on Order Quantity. Unsensitized Direct/Indirect films can be stored for several years without degradation. We recommend that unexposed film be stored in a closed container in a cool, dry area. Unsensitized Pinkote Emulsion has a shelf life of 18 months. Sensitized Pinkote emulsion has a shelf life of 3 to 4, weeks, which can be extended to 6 weeks if refrigerated. Direct/Indirect films are not pre-sensitized and will not age on the shelf. Pinkote Transfer Emulsion contains a unique, very high sensitizer ratio essential to properly sensitize the film for imaging and maximum durability. The Direct/Indirect System is a two-part system that combines the print quality of film with the durability of emulsion. Ideal for documented quality systems requiring minimal process variance. Accurate, predictable stencil thickness control for difficult repeat jobs. Excellent durability for long print runs. 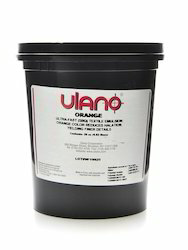 For use with solvent-based, UV and plastisol inks. 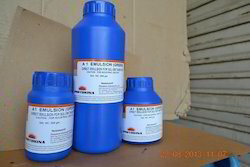 Looking for Emulsions Coatings ?